Traditional Tibetan incense is made from natural substances to recipes from the medical Tantras. Some of these recipes are recorded from the time of the Buddha. 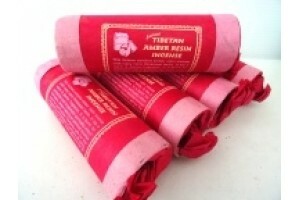 We stock both aromatic and aromatherapy incense. Aromatherapy incenses are made under the supervision of highly qualified Tibetan doctors. 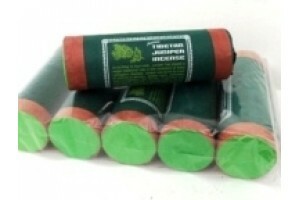 Tibetan Nag Champa Incense cones. 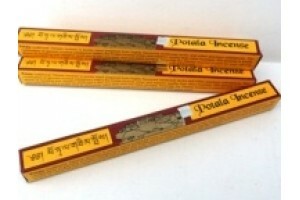 Contains 25 cone..
Potala aromatic incense (20 sticks, 25cm long)..
Sandalwood's calming effect is popular in religiou.. Finely cast bronze metal alloy incense burner with..
Small copper incense burner in antique finish with..
Fine quality Spiritual Healing Incense. This incen..
Agarwood is very popular as the "wood of the gods"..
Tibetan Amber Resin Incense. This incense contains.. Formulated in strict compliance with Tibeta.. Medicinal healing incense formulated in strict com.. Traditional Tibetan Juniper Incense.... According .. Medicinal herbal incense (Approximately 35 sticks)..
Champa is the aroma of female Laxmi goddess of Wea..
Saffron (or Nagkeshar) is important in the Yu..
Coloured bronze alloy three piece tripod incense b..